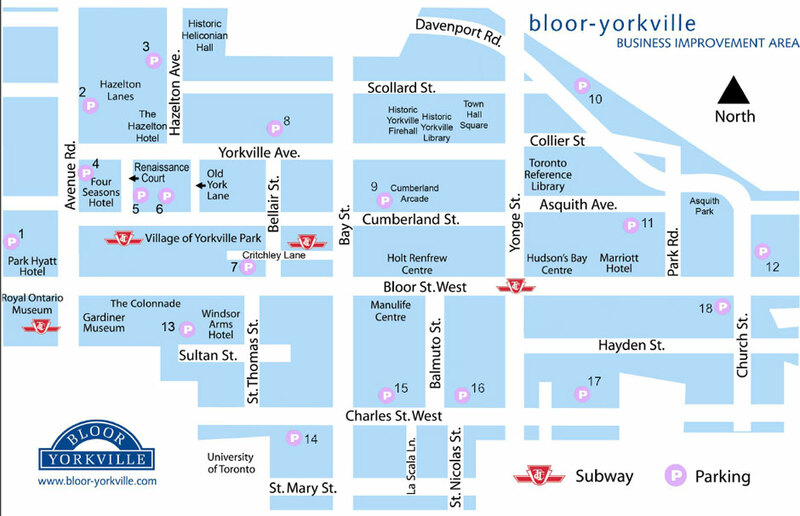 The Toronto parking authority has a number of parking lots in operation around the Toronto reference library. The map below displays each of their locations. We suggest parking lot numbered 9 and 11 for ease of access and proximity to the Toronto Coin Expo. *Parking rates are estimates only as of July 2012, and are subject to change without notice.